One man lived at the home, and he said he will now be staying with family. 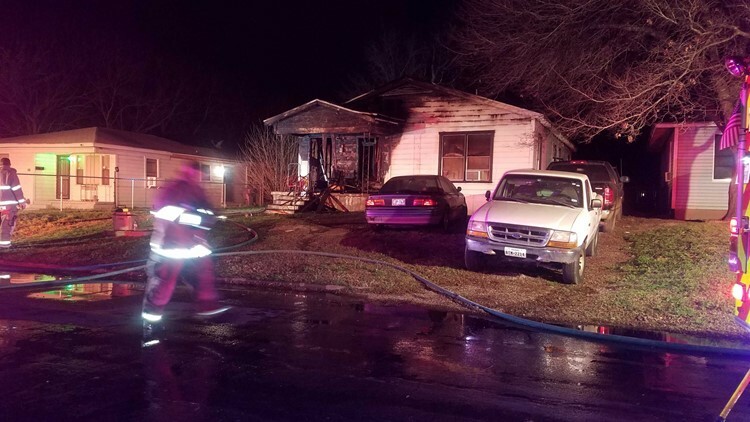 WACO, Texas — The Waco Fire Department said on Twitter that there was a "well involved house fire" on Harlem Avenue. Firefighters responded to the call at 8:24 p.m., and arrived at the scene four minutes later, according to the department. Firefighters found heavy fire coming from the front of the house. The department said there is damage to the living room and remaining portions of the house. The man who lives at the house said he had been gone for an hour, and when he came back home, his house was on fire. No injuries were reported. There were no other people inside at the time of the fire, the department said. The man said he doesn't need assistance from the Red Cross since he will stay with his family.